So inspiring. 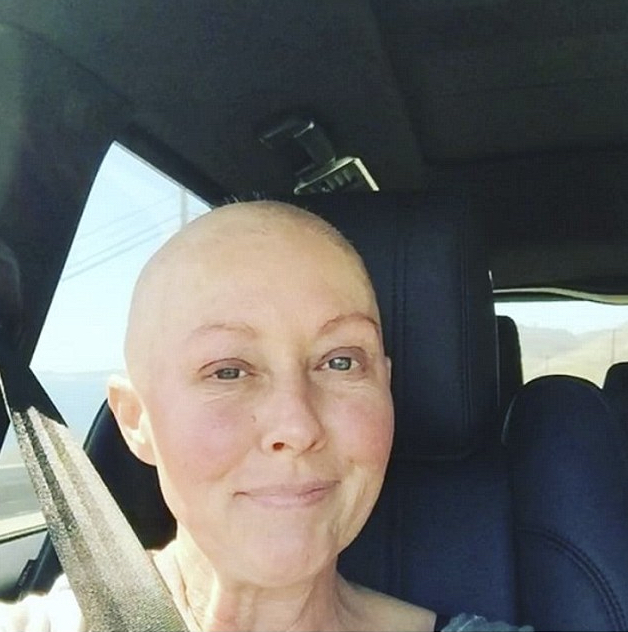 Shannen Doherty hit the gym just one day after having chemotherapy, explaining in an Instagram video on Thursday, October 6, that "just moving helps so much in the healing process." Watch her emotional post in the video above. The Beverly Hills, 90210 alum, who is battling breast cancer, said that she had a red face and was a little bit puffy from the steroids. She "was not feeling too great" and would have preferred to be "laying in bed right now and doing nothing" but instead was headed for a workout. "It&apos;s not always easy and sometimes I can&apos;t do it the next day but I try to make an effort to get the blood flowing and the toxins out of my body thru working out," she wrote in a caption. "Some days are easy workouts and other days I push it but the key is to MOVE!!! This is for any illness. Obviously check with your doctor. The road to recovery is paved with all sorts of different material." The 45-year-old followed it up with a clip that showed her dancing to Flo Rida&apos;s "I Don&apos;t Like It, I Love It" with her trainer. "Let me tell ya…. shaking your booty is hard work with my Neda who&apos;s been helping me move and get toxins out. Yes I was tired, yes I wanted to be in bed but I went and moved and felt way better. Any exercise during illness is good. We can do it!!!" the former Charmed star captioned the Instagram video, adding the hashtags #beastmode #fightlikeagirl and #warrior. Doherty was diagnosed with breast cancer in February 2015 and had a single mastectomy this past May. In August she revealed that the cancer had spread and she was going to undergo chemotherapy followed by radiation. She has been open about her progress, documenting her treatments and even sharing emotional photos of the day when she shaved her head. "I believe that if I fight, I&apos;m gonna be OK," she said in an interview in July.